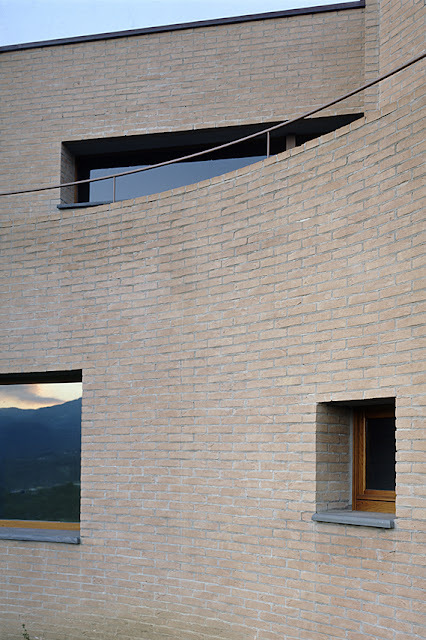 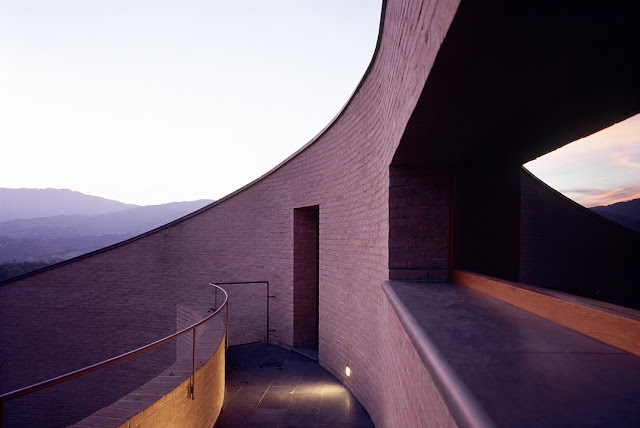 Located in the hills of Bedonia, within the Province of Parma, Italy, this house by Studio Lucio Serpagli gently follows its sloping site and makes the most of its panoramic views through its unique, simple shape that features an open circular court. 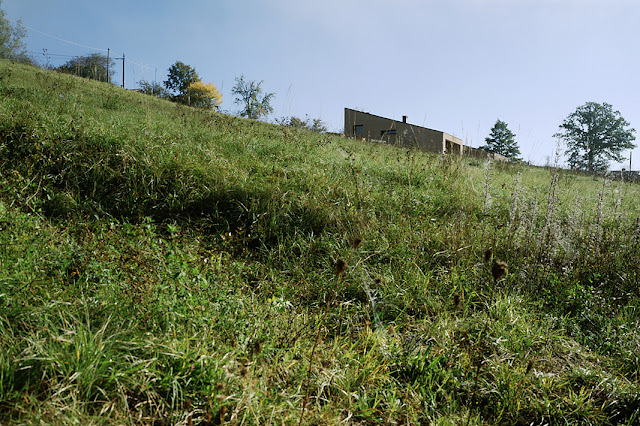 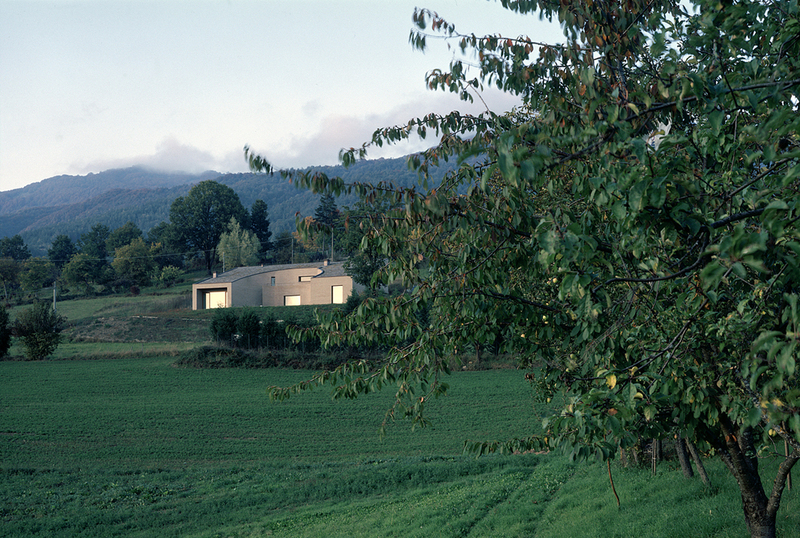 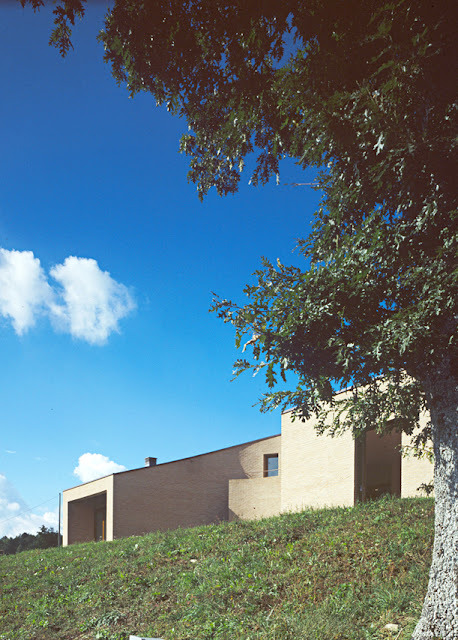 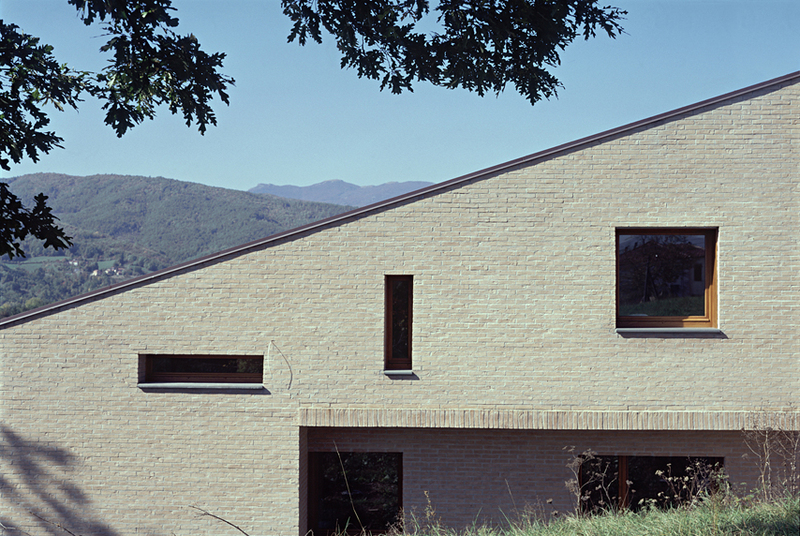 Situated among the gently rolling hills of Bedonia near Parma, Italy, the house occupies an isolated belvedere overlooking the surrounding landscape. The shape of the building makes the most of its sloping site and panoramic position, heightening the effect with a single pitch roof and an open circular court plan. 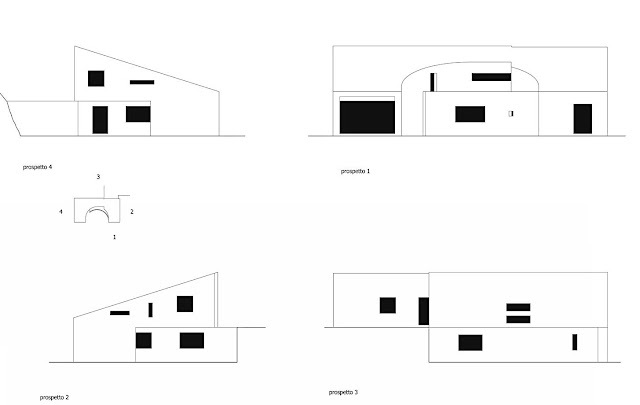 The 280 sqm (3000 sqft) area is divided between two levels. The lower floor comprises a living area with dining room and kitchen, plus two bathrooms and two bedrooms. 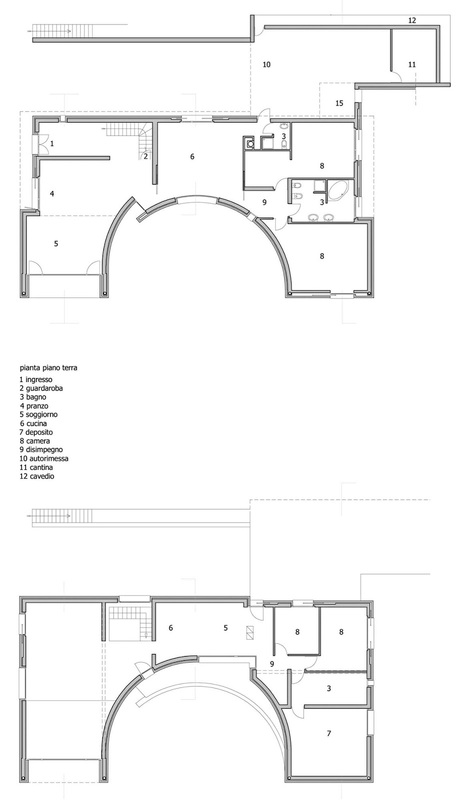 At the second level lie two bedrooms, one bathroom, a living room and a library. The rooms are organized around a slightly elliptical space. 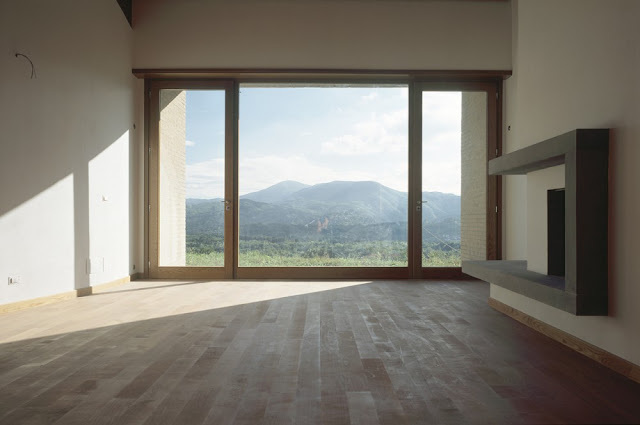 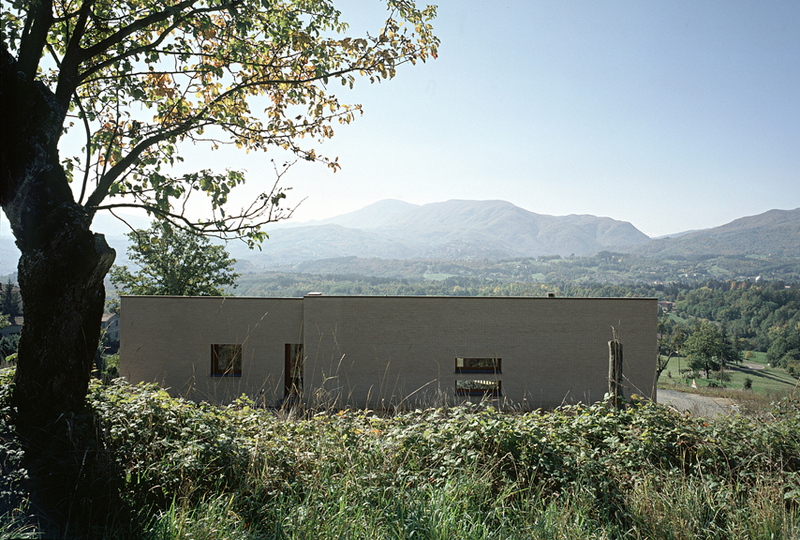 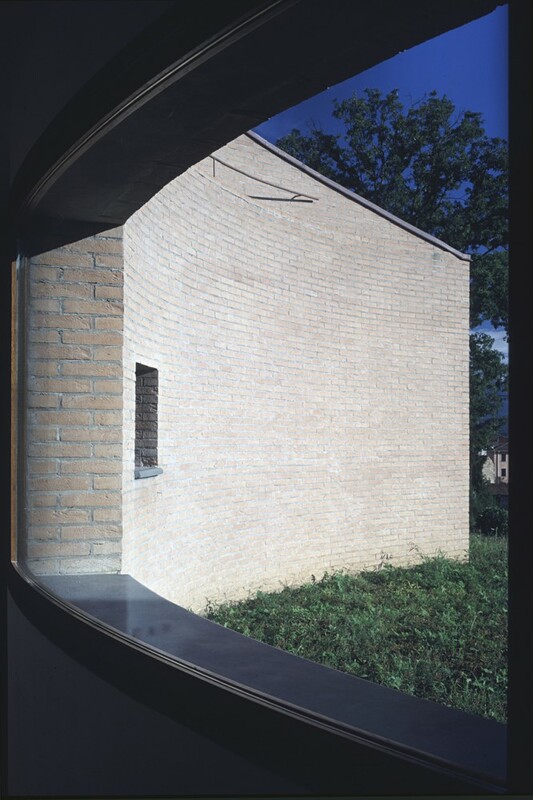 The irregular windows have stone thresholds while the frames are made of wood. 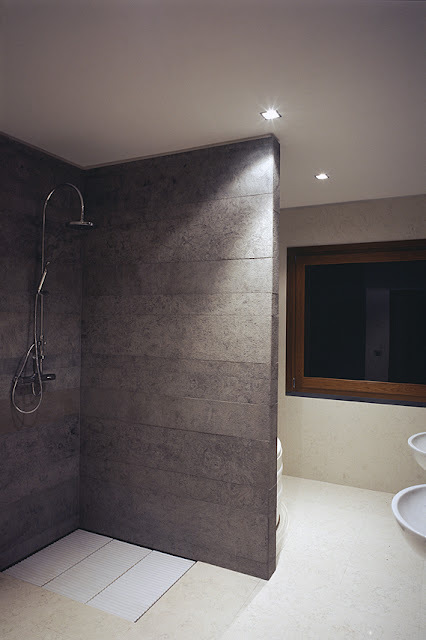 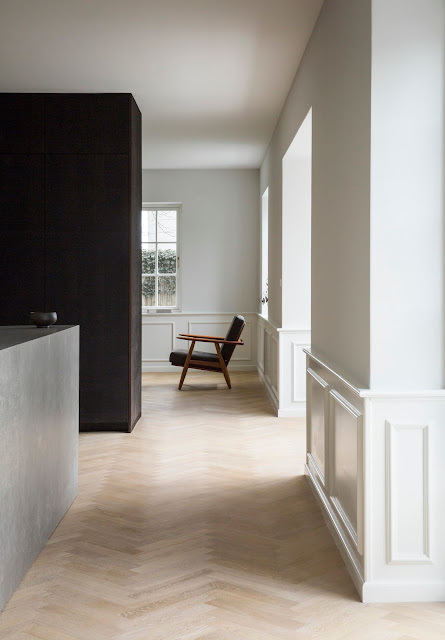 The floors are cherry wood and local sandstone while the walls are tinted white. 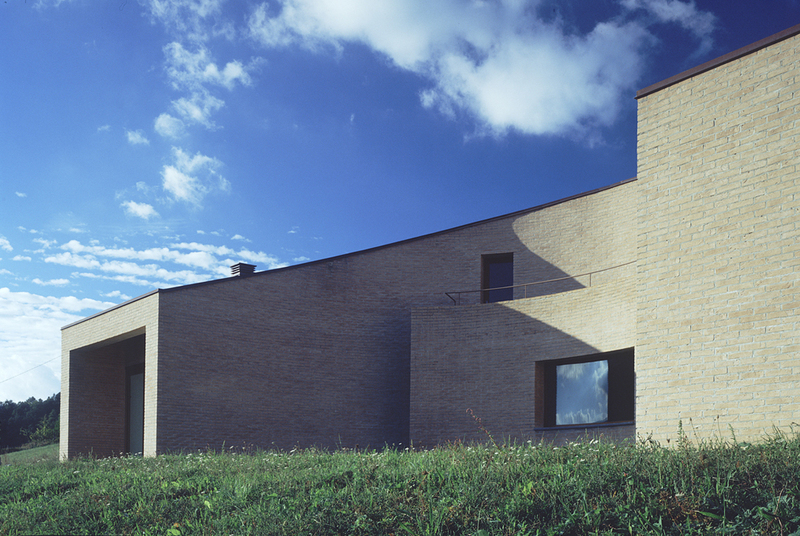 In this house, light is the leading player defining the house's volumes and spaces. 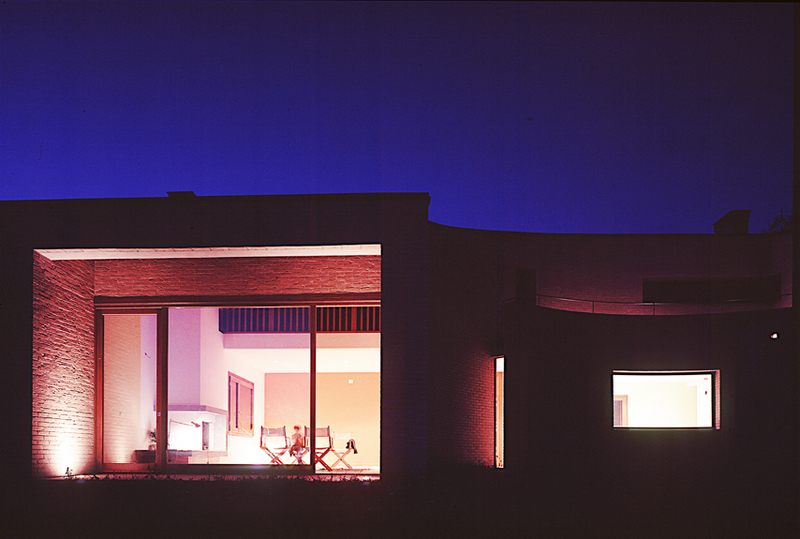 As opposed to the clear light of a typical glass house, the shapes and the materials conspire with the proportioned windows of this brick house to generate a kind of "spent" light.